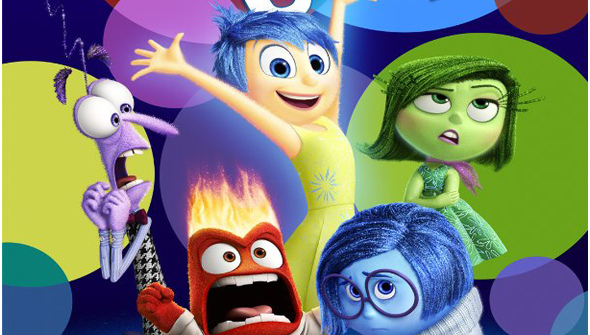 Home / CG / CP / movies / news / Pixar / trailers / US animation / Third Trailer Lands For Pixar's 'Inside Out'. Third Trailer Lands For Pixar's 'Inside Out'. This summer sees the release of Inside Out- the first Pixar movie since 2013's Monsters University, and their first original film since Brave. The film takes us inside the head of 11-year-old Riley, and introduces us to the little voices that live inside of us all- joy, sadness anger and more. The twist is that all these emotion are personified as little characters living inside her Control Centre (aka her brain). The earlier trailers suggested that the film will also give us a look inside other character's control centres too- as we got so see inside Riley's parents too. The earlier trailers haven't won everyone over, but we're completely on board. The new trailer is, safe to say the best yet and will hopefully help some of those who weren't so sure to see how fantastic this promises to be. Inside Out will be released in the US on 19th June and in the UK on July 24th 2015. Watch the New Trailer below.